The Ekain cave is located in the eastern face of the Ekain hill, in the small valley created by the Sastarrain stream. It was the ideal location for a prehistoric settlement. It is about one kilometre from the district of Zestoa, to which it has easy access. It is famous for its Palaeolithic cave paintings which are outstandingly well-preserved. The cave contains around 70 animal figures, of which 64 are painted and 6 engraved. Horses are the animals that feature the most. The set of horses is one of the richest and most beautiful examples of Franco-Cantabrian art and it is considered the finest wall painting of its type. The animal figures at Ekain also include bears, crows and goats. The cave is divided into different galleries that are named, in Basque, after the figures in them: Erdibide, Auntzei, Erdialde, Zaldei, Artzei and Azkenzaldei. The Ekain cave, along with another 16 cave art sites on the Basque coast including Altxerri and Santimamiñe, was declared a World Heritage Site at the UNESCO conference on 7 July 2008. 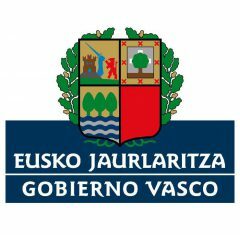 The Basque Government and the governments of Cantabria and Asturias had started the process that led to the declaration two years previously. The Antxieta Cultural Association of Azpeitia has been working hard for several decades on the difficult task of researching and trying to keep alive different aspects of Basque culture, motivated only by a desire to learn and in exchange for nothing more than personal satisfaction, in a disinterested and totally voluntary way. Some members have been especially interested for a long time in understanding our most distant past and the material remains it has left behind. 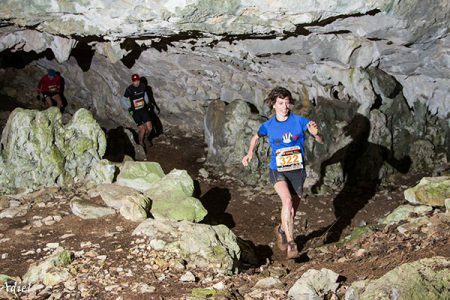 Combining this thirst for knowledge with an interest in the world of caving, they began to look for prehistoric clues in the caves. To do so, the group of archaeology enthusiasts enlisted the technical support and protection of the Aranzadi Science Society. 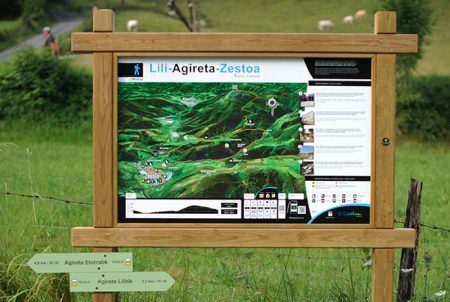 In 1969, several members of the Antxieta Cultural Association were researching different enclaves of prehistoric activity in the hills of the Izarraitz massif. Andoni Albizuri and Rafael Rezabal were two of these volunteer researchers who dedicated their free time to archaeology. One Sunday in spring, they followed the course of the Goltzibar river as far as the Sastarrain valley. This area struck them as the ideal place for the Palaeolithic way of life, given its abundant pastures for large herds of herbivores and the plentiful supply of water by the two water courses that meet at this point. They started to look for caves in the area, and it was the housewife at the Sastarrain farmhouse that led them to a shelter measuring just 13 metres. On 8 June, they began looking for evidence of human occupation in the space. Rafael felt a gust of cool air coming from a hole. They removed a few blocks of stone that were in the way and they were able to crawl through a narrow tunnel. When they stood up, the crunching sound under their feet told them they were stepping on untouched ground. Around 60 metres from the entrance, they found themselves facing the Great Panel of Horses, a pictorial group described by French ethnologist, archaeologist and historian André Leroi-Gourhan as “the most perfect group of horses in Quaternary art”. That very day, they reported their finding to the members of the Prehistory section of the Aranzadi Science Society. José Miguel Barandiaran and Jesús Altuna went to what is now called Ekain 1 cave the very next day. On studying the works of cave art on the walls, they established that they were painted 13,000 to 14,000 years ago, at the end of the Upper Palaeolithic – specifically, in the cultural period known as the Upper Magdalenian. That was the moment when the initiative to protect the Ekain cave and its paintings began. After many complex discussions with different authorities and institutions, Ekain closed in June 1969. This allowed the researchers time to investigate the images and the archaeological findings. Since the cave’s discovery, numerous documentary records have been written. Visit the Ekain bibliography. Ekain is an exceptional work of cave art from the Palaeolithic period. Artistic creations by Palaeolithic hunter-gatherers have been discovered around the world, and yet the specimens found here on the Cantabrian coast of Europe, known as Franco-Cantabrian cave art, are the most prolific. Ekain is considered the finest example of cave art in the Basque Country. From the beginning, the archaeologists were clear about the need to protect and preserve this cave art heritage site. The cave has never been open to the general public and, as a result, the cave art is intact. 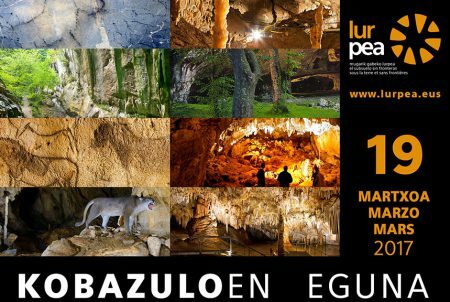 The Aranzadi Science Society, in collaboration with members of the Antxieta Cultural Association, carried out a highly restricted programme of guided tours, giving a very small number of people the chance to see the Ekain cave. However, this artistic heritage had to be shared with wider society and that is where the idea of constructing a replica of the Ekain cave emerged. The idea gradually took shape and construction work began on the physical structure of the replica. Then it became clear that a legal structure was also needed for its day-to-day management.  That objective gave rise to the formation of the Ekain Foundation in 2004. 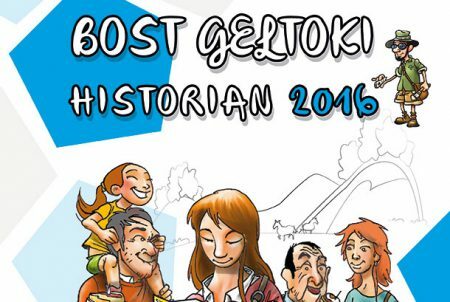 This body was formed by the District Council of Gipuzkoa, the Basque Government and the City Council of Zestoa. 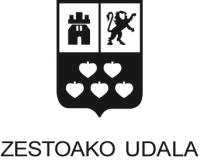 According to the Official Gazette of the Basque Country, it was entered on the Foundations Register of the Basque Country on 5 September 2005 and has been the body responsible for the management of Ekainberri ever since then.